Brand extension: how far before the brand snaps? Some background: before I moved into marketing consultancy I worked in beer. I was passionate about beer before I joined a brewery, I’ve been more passionate since I left the industry directly and the whole world of beer has opened up to me again. In fact, today, I write about beer and am a Member of the British Guild of Beer Writers. Yes, such a thing exists. I tell you this because the world of beer has informed and coloured how I see the worlds of brands. In fact, it has always been incredibly instructive. In today’s world not extending your brands is commercial madness. They are known and trusted, as a result it will be much more cost effective to build off your existing assets. At risk of getting creosote on my bottom from fence sitting, I can see both sides and have made choices based on each argument. Inconsistent? Probably. Realistic? Definitely. There are cases where you can justify extending a brand. When the brand is healthy (has a positive reputation or is attracting new consumers for example) and when the extension emphasises the brand positioning (i.e. strengthens what your brand already stands for in the minds of your target consumers). 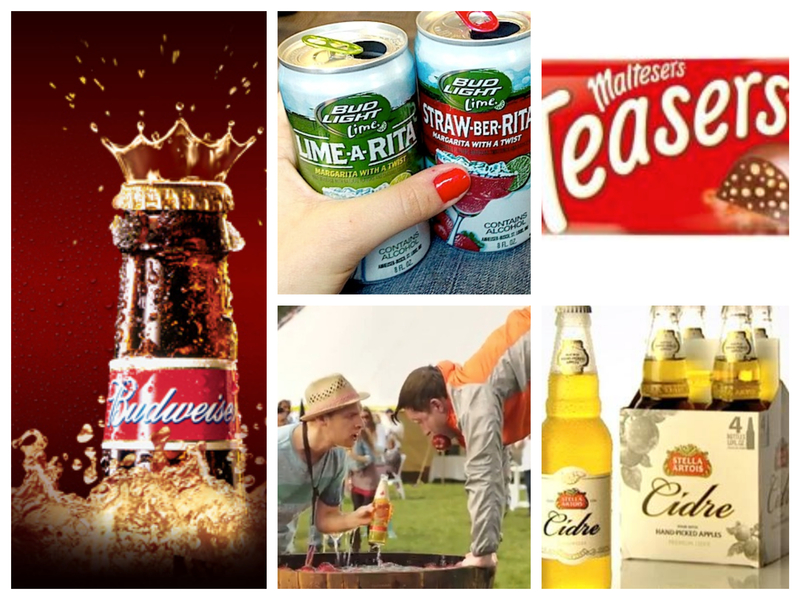 Our first beer examples: Stella Artois and Carling have made high profile moves into cider. For many industry commentators, a questionable move. But for consumers, this isn’t a case of those brands moving into a new category but rather making their brand available in a new long drink format – a related, adjacent category to beer. What Carling found for example, was that in Summer, many drinkers of mainstream lager were swapping into mainstream cider (like Strongbow) due to the perceived greater refreshment. Therefore moving Carling into an adjacent category is a sensible defensive play with the potential to extend the brand’s franchise. The advertising has felt consistent with the values of the parent brand. Likewise, Stella Cidre has felt consistent with that of the parent beer brand. Outside beer, Maltesers have just won UK ‘The Grocer’ Product of the Year with ‘Teasers’. The product is identifiably ‘Maltesers’; the shape is identifiably ‘Maltesers’, the packaging and semiotics are identifiably ‘Maltesers’: in short an extension that strengthens what the brand is about in the minds of Maltesers consumers – yet one that will invite new purchasers in. In the main however, these situations are few and far between. Let’s extend that beer example to the self styled ‘King of Beers’, Budweiser. In the U.S., Budweiser’s parent, ABInbev, is seeing much commercial success with Bud Light Lime Ritas (link). These are not just a brand extension, but a brand extension on a sub-brand’s brand extension. This isn’t the child of Budweiser. This is the grand child. And then the grand child has children: Straw Ber Rita, Rasp Ber Rita, Mang o Rita, Cran Brr Rita. This is where the debate hots up. ABInbev the parent company are reporting how successful the brands are proving commercially. But with brands, there has to be a delicate dance between short and long term. How does what I do today impact on my brand tomorrow? 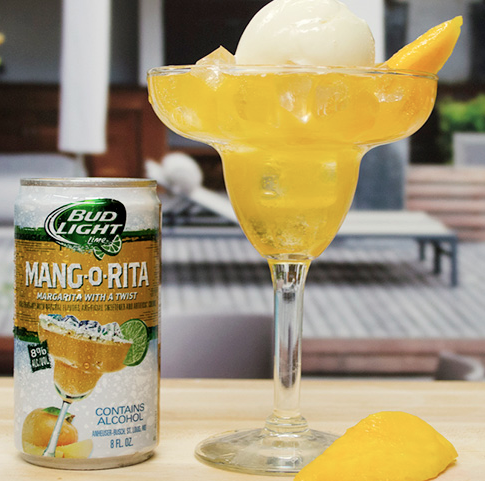 What has a Mang O Rita got to do with Bud Light Lime? What’s it got to do with Bud Light? With Budweiser? Heck, with Beer? How’s it going to help a parent brand that has posted a decade of sales declines? Why is this important? A brand isn’t purely a creative entity that carries meaning for people. It is a commercial machine. It exists to extract money from your wallet, or a donation to a cause and in return deliver emotional and rational satisfaction. That line of revenue will be damaged if the brand that generates it loses meaning; if it is diluted. It all comes back to whether you really believe in brands or not. If you do, look into the past of the brand for the few nuggets of truth that have made it famous or are working for you now. Revere them; respect them; use them as the inspiration for the paths you take in the future. And the choice of how to innovate and whether to do it on your brand is the biggest of all. David Preston is founder of The Crow Flies, a research, strategy and innovation company that finds the direct route to success for categories and brands, including brands that want to extend! To learn more, wing over an e mail to david@thecrowflies.co.uk or call on +44 (0) 7885 408367. You can follow The Crow Flies on Linked In (http://www.linkedin.com/company/the-crow-flies-ltd?trk=company_name), on Facebook (https://www.facebook.com/thecrowfliesltd). Twitter, caw us at @crowflieshigh. Or just send a well-purposed carrier pigeon.